When working on web development, there are times when we need to share our local changes quickly. If the change is small, deploying to web server by generating a war file would consume a lot of time. There needs to be a quick way to expose web server(running locally) publicly so that clients can view the changes and provide immediate feedback. 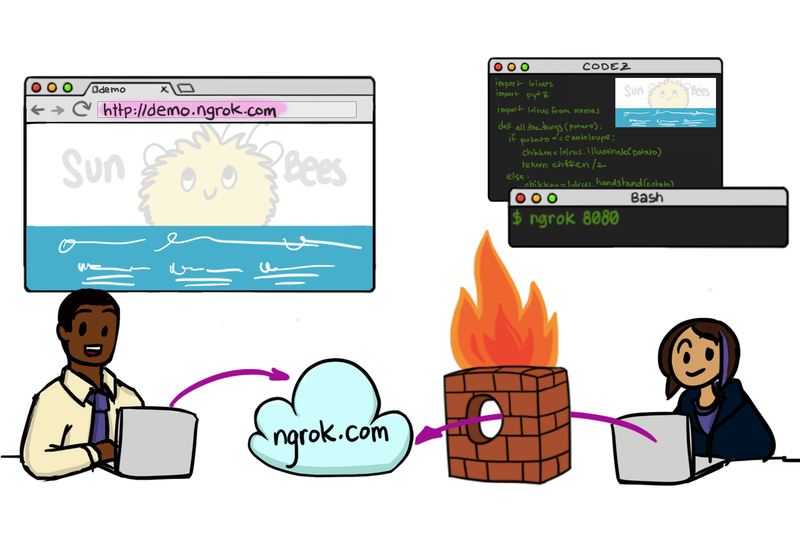 Ngrok creates a tunnel from a dynamically assigned public ip to a locally running web service. Main use of ngrok is to publicly expose a local web server. We need to copy the http link and share it with our clients.